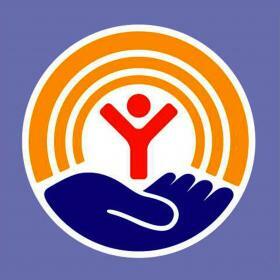 United Way of San Antonio and Bexar County is seeking to fill the position of a data analyst. This position is primarily funded by the HOPES III grant (Healthy Outcomes through Prevention and Early Support Program), a collective impact grant for which United Way acts as the coordinating body for 9 partner agencies. The HOPES III partners work directly with clients/families to provide interventions in service of child abuse prevention. A shared client management system called TAVConnect is utilized to manage the data on the HOPES III families supported by all 9 partners and to evaluate outcomes for the families. This data analyst position supports data and evaluation work for the HOPES III grant and other United Way of San Antonio and Bexar County collective impact efforts. Coordination of TAVConnect client management system implementation and ongoing maintenance with TAVHealth design staff on both core system and report design to ensure adherence to required grantor data collection standards and local needs. Planning, design and execution of partner agency staff training on TAVConnect and ongoing user support. Develop and maintain user documentation for various data systems, processes, & trainings. Quality control on data entered into TAVConnect by partner agencies and flow of data between data entry into reports and exports for PEIRS. Data cleansing/cleanup across TAVConnect and The Texas Department of Family and Protective Services (DFPS) Prevention Early Intervention Reporting System (PEIRS). Lead weekly virtual TAVConnect office hours training and Q&A sessions. Design and maintenance of performance dashboards in Tableau & Looker Business Intelligence tools. Preparation of partner agency performance reports and participation in monthly grant partner performance reviews. Presentation of performance data at partner meetings and to leadership staff. Participation in grant performance audits both on- and off-site. Participation in performance measurement and evaluation activities as required by grant funders. Function as Research, Data and Evaluation Team Liaison to the Ready Children Impact Council. Responsible for monthly coordination of PEIRS data entry with HOPES III team. Supplemental monthly data entry into PEIRS system from TAVConnect exports as needed. JOB RELATIONSHIPS WITH: Interacts with team members at all levels of the organization with focus on relationships in Partners for Community Change team. Reports to the Vice President of Planning and Evaluation. Three to five years in social services/human services or equivalent experience is preferred. Experience with client management information systems design and maintenance. Experience with Business Intelligence reporting tools such as Tableau and/or Looker. Experience with data Extract / Transform / Load (ETL) tools such as KNIME or similar. Demonstrated ability to manipulate datasets to identify and analyze trends and complex relationships. Advanced experience with Excel and the remainder of the Microsoft Office suite. Experience with The Texas Department of Family and Protective Services (DFPS) Prevention Early Intervention Reporting System (PEIRS), its data formats, and requirements. Experience working with complex datasets and database structures. Experience in the use of statistical data analysis packages (r, STATA, SPSS, SAS, or similar). Demonstrated ability to work as an independent member of a small and highly interdependent team. Strong written and verbal communication skills, must be able to conduct community presentations and to convey technical content to non-technical audiences. Hours are Monday-Friday 8:15 am to 4:45 pm with occasional evening and weekend hours. Primary job location is 700 S Alamo St, San Antonio, TX 78205. The position salary range is $50,000-$61,000; compensation commensurate with applicant qualifications and experience. The position is grant funded through 8/31/2021. While grant extensions and new grant opportunities are possible they are not guaranteed. Applicant must be able to pass a required criminal background check through the State of Texas.